L.A's MarinaFest kicks off June 4 at Marina del Rey Harbor. 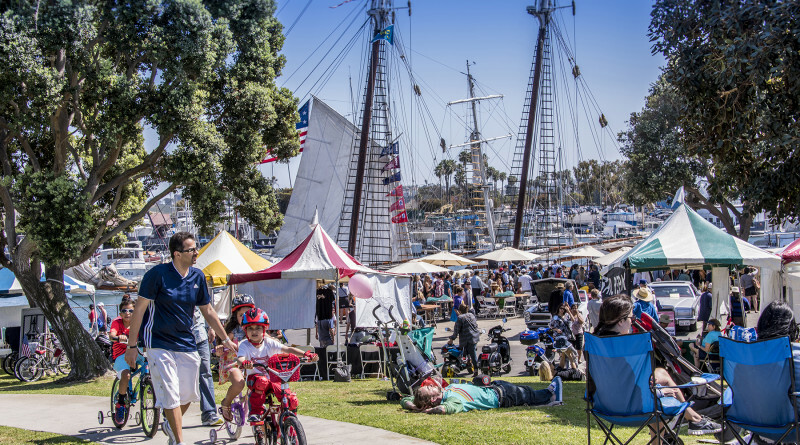 MARINA DEL REY — A two-day celebration of Marina del Rey’s 51st year will kick off on June 4 at the harbor where attendees can enjoy several attractions ranging from boats on display to classic cars. The event presented by the L.A.’s MarinaFest Committee will run June 4-5 at Burton Chace Park, 13650 Mindanao Way, Marina del Rey. The event is a showcase of the many recreational activities Marina del Rey has to offer, including but not limited to, boating, sailing, fishing, kayaking and rowing. Events begin with a Del Rey Yacht Club sponsored boat parade in the main channel led by the tall ship Bill of Rights. The weekend will include an in-water boat show, a Snipe Wooden Dinghy Regatta hosted by South Coast Corinthian Yacht Club, $1 historical tours by Hornblower Cruises & Events, vendors, exhibits, live music, tall ship tours on Bill of Rights, kids attractions, classic car show, food trucks, a wine and beer garden, U.S. Coast Guard helicopter rescue demonstration and much more. Admission is free to many of the events. Tickets are required for the Wine & Beer Garden, boat displays and tours. Half of the proceeds from tickets to sail aboard Bill of Rights will benefit LifeSail, a local nonprofit that helps Los Angeles County youth develop leadership and academic success through sailing, boat ­building and STEM. L.A.’s MarinaFest will run from 11 a.m.-6 p.m., June 4; 10 a.m.-5 p.m., June 5. Limited parking is available at the venue; additional paid parking is available at County Lot 77, 13560 Mindanao Way; County Lot 4, 13500 Mindanao Way; County Lot 5, 4545 Admiralty Way, Marina del Rey. For more information visit marinadelreymarinafest.com or facebook.com/marinafest. For pre­sale event ticketing, including wine garden entry, dock entry, and tall ship tours, visit lasmarinafest.eventbrite.com. I was amazed that this was not listed in your calendar section in the paper I picked up last weekend, are you guys asleep or what?